This is not indigenous to Slovenia or to Europe, being originally from North America. 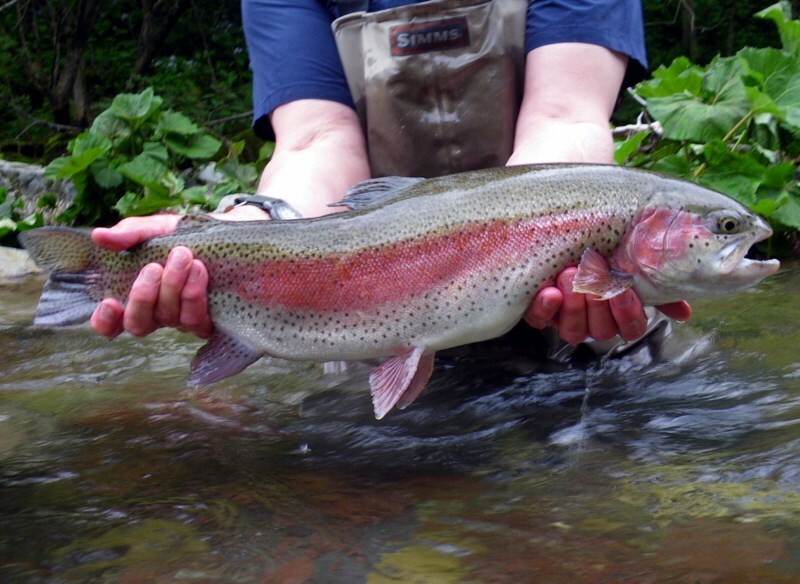 This fish was introduced to our rivers in the past to make fishing more fun, since they are great fighters. 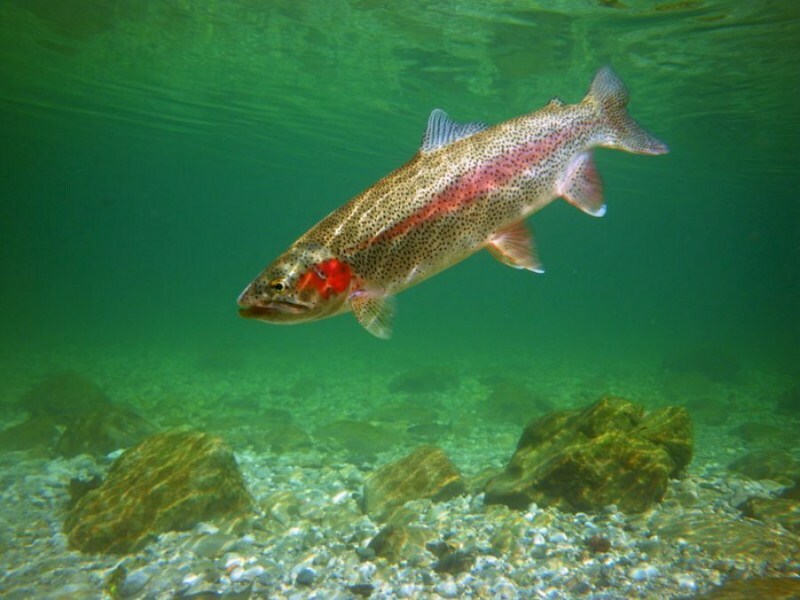 Although at first they did not spawn, they have adapted very quickly, and now wiled rainbows can be found pretty much in all rivers in Slovenia. The rainbow does not cross breed with other species.